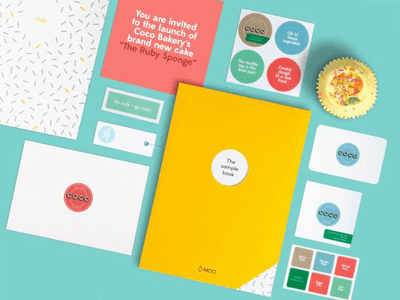 Get a FREE MOO Postcards, Flyers, Stickers and MiniCards Sample Pack! – click the get a sample button and checkout. For demonstration purposes ONLY – samples have MOO branding, details of sizing, product weight and pricing. You can also get a Business Card Sample Pack with a full range of sizes, paper stocks and finishes.